Rev. 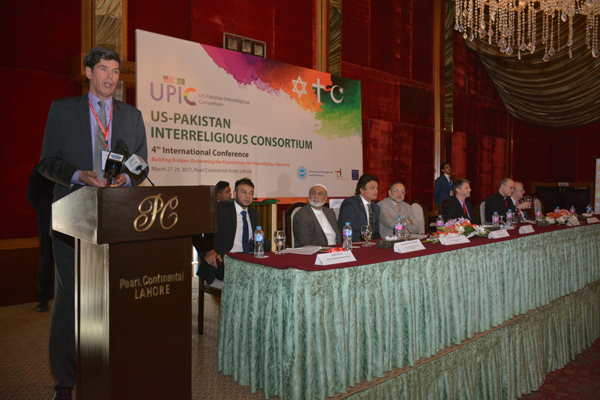 Robert Chase, Founding Director, Intersections International, gave his reflections on the US Pakistan Interreligious Consortium (UPIC) program that concluded recently. In his blog titled 'New UPIC Seeds Planted in Pakistan,' which is featured on the Intersections International website, he thanked UMT for hosting the event in Lahore and added that the sessions featured many discussions on the rising Islamophobia in the US and how it impacts everyday lives. The Rev. wrote about Dr Mumtaz Ahmad Memorial Lecture which was delivered by renowned scholar Dr John Esposito at UMT. It is worth mentioning that the UPIC Conference on ‘Building Bridges: Discovering the Foundations for Interreligious Harmony’ was organized in the last week of March by Intersections International, Berkley Center for Religion, Peace and World Affairs Center for Global Dialogue, UMT, and the Department of Political Science.